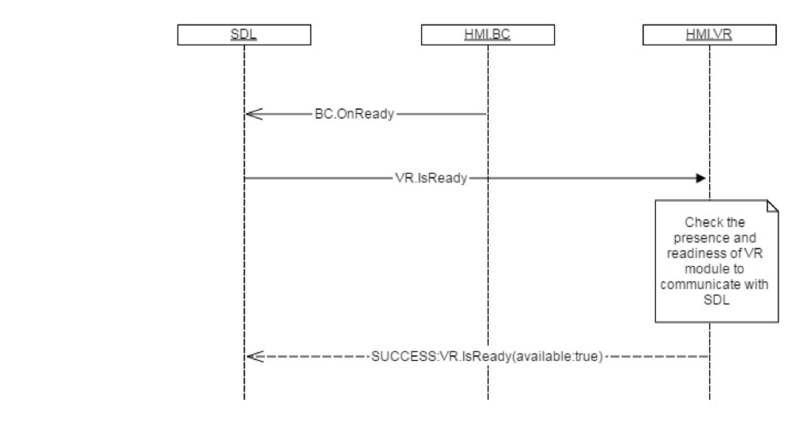 SDL sends VR.IsReady request after HMI confirms its readiness via BC.OnReady notification. If HMI responds with "available":false, SDL will not further communicate over VR interface with HMI. If HMI does not respond during SDL's default timeout, SDL will continue to send RPCs over VR interface to HMI. Check whether VR module is available and ready.